Important: Images shown in the demo are stock images and are not included in the package. Packages updated to latest version. Angular, NgRx, NG-bootstrap and other Packages updated to latest version. Angular, NG-bootstrap and other Packages updated to latest version. Horizontal timeline page now fully converted to typescript version. User Profile page responsive issue. Sweet alert package updated to latest version. 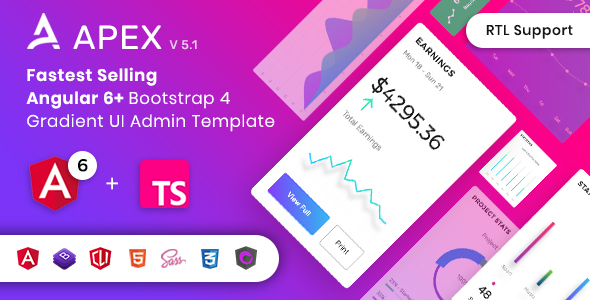 Bootstrap updated to latest version (Bootstrap 4 Stable) in Angular Template and Starter kit Template and HTML template. NG-Bootstrap package updated to latest version. Menu issue on small screen in starter kit.